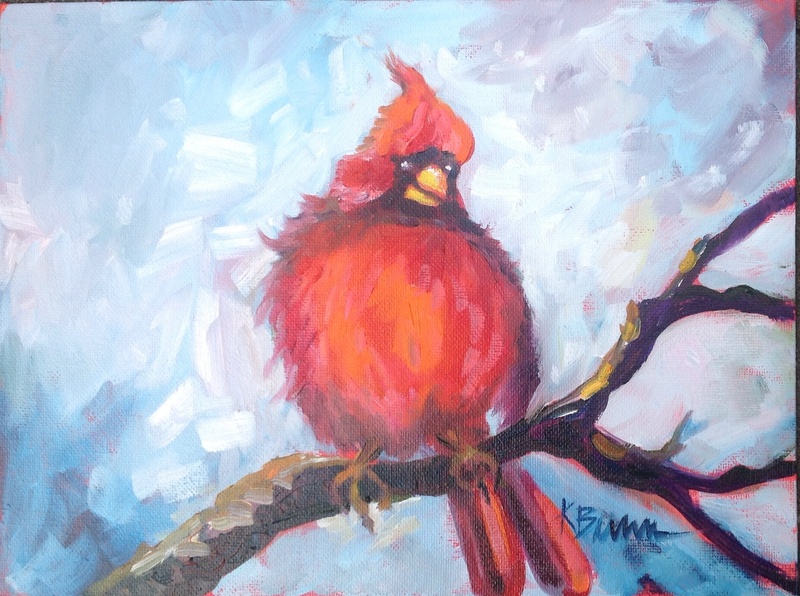 My mother loved red birds, Years ago, when my mother was living I did not care about any bird, but I love cardinals now. I have turned into my mother… in many ways. “Valentino” is my fifth painting in artist, Leslie Saeta’s painting challenge.